Located about 30 miles southwest of Bakersfield, California, the South Kern Compost Manufacturing Facility (SKCMF) was commissioned in 2006 to address concerns about long-term viability of land application of Class B biosolids in Southern California. 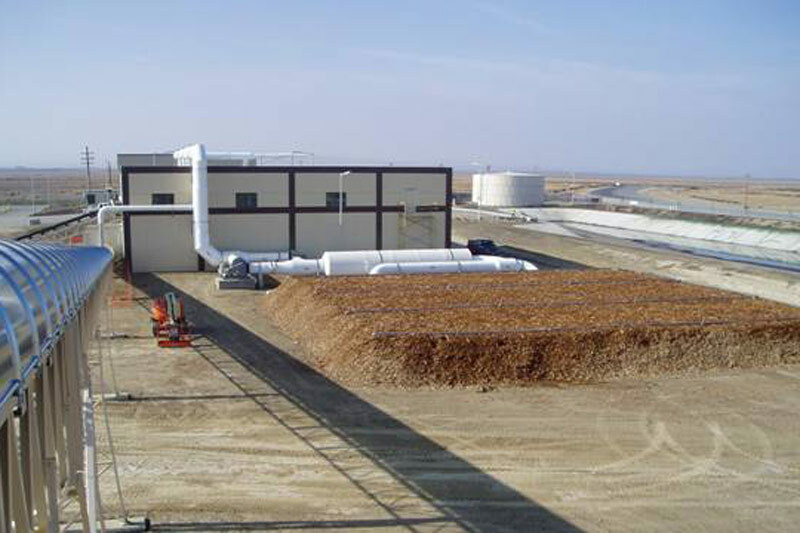 The facility also addresses air quality issues created by traditional composting processes. 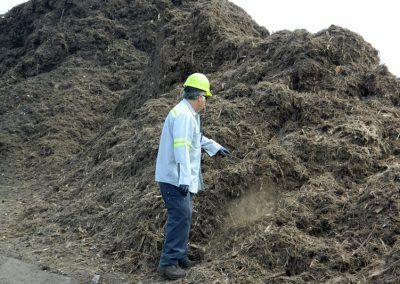 Synagro analyzed the Taft region and assessed the area’s need for sustainable compost management. 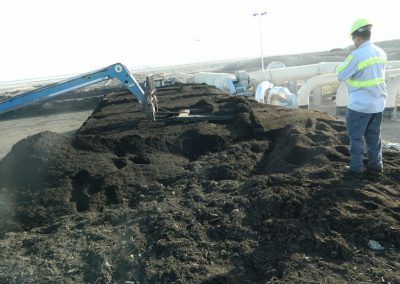 A 44-acre aerated static pile composting facility that could produce cost-effective, marketable Class A biosolids was selected as the optimal solution. 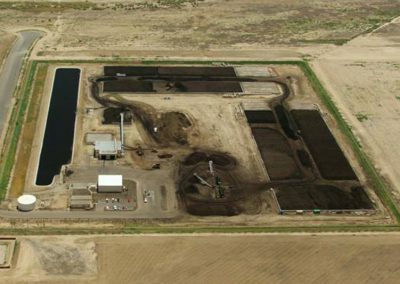 SKCMF is strategically located in close proximity to the region’s wastewater agencies and the compost end-use market that already had required permits in place. 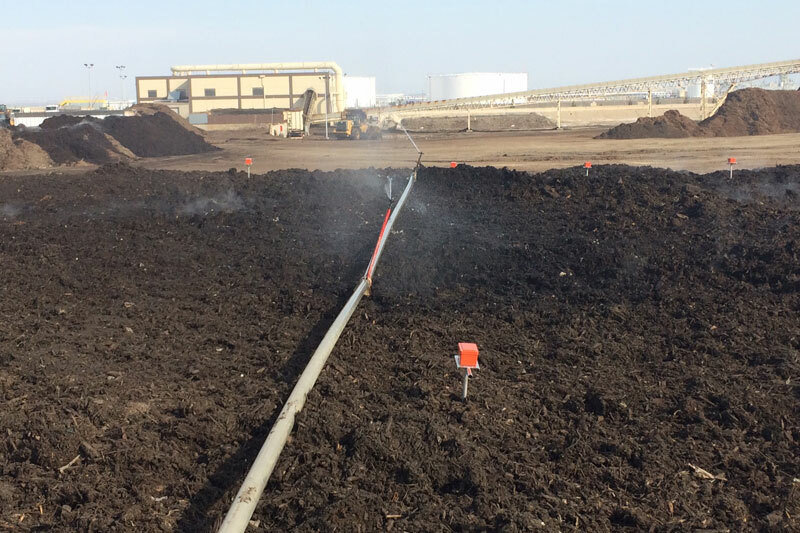 The careful site selection allowed for expedited permitting and construction processes. The South Kern Compost Manufacturing Facility utilizes a negative aerated static pile (ASP) compost system to produce 500 tons of Class A compost per day. 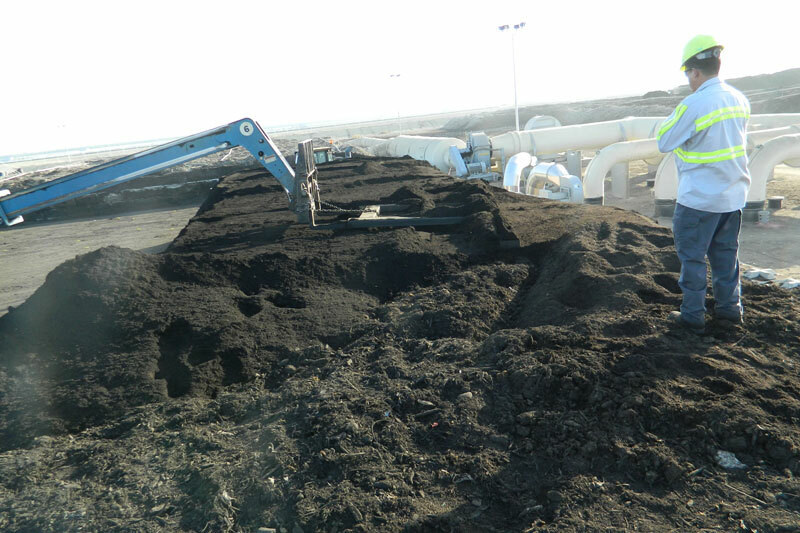 A state-of-the-art ASP system places biosolids and mixed organic waste in loosely-stacked piles that are aerated by an underground pipe system that accelerates the composting process. Air drawn through the organic material is treated through a biofilter air quality treatment system that reduces volatile organic compounds (VOC) and ammonia by more than 80 percent. 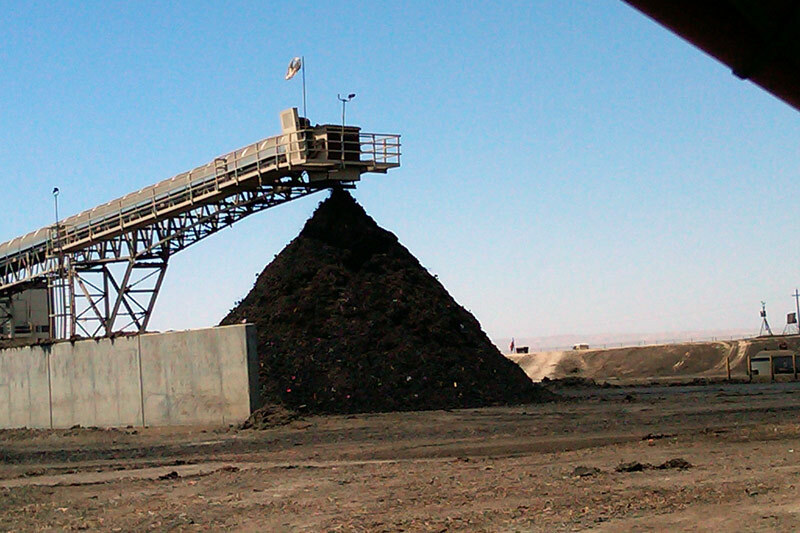 That’s a higher percentage of VOC control achieved by anyone else in the industry. SKCMF is deeply engaged in its surrounding community. 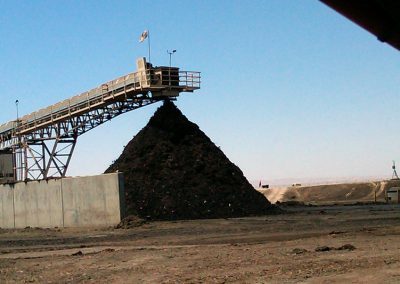 Staff members collaborate regularly with Kern County officials. 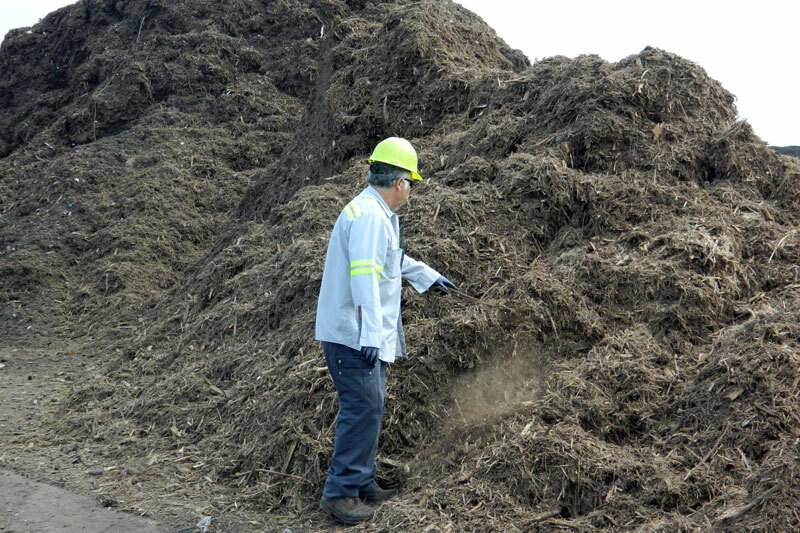 Compost donations and financial support are provided to an array of local non-profit organizations.